Tired of going to your favorite haunted destinations and find out its the same as last year? Hysteria is an all-new Haunted house at a new location! After a successful 2017 Haunting Season, Prepare yourselves for Fear! We are unleashing a Brand New Haunted Attraction in the backwoods of Spencer, WV. Step into Hysteria Haunted House and experience the ghastly entities that haunt its tormented halls. Many are driven mad by the terror lurking in every shadow; their desperate screams echoing endlessly down twisting corridors heard only by the desolate West Virginia countryside. In this house of horror – it’s not about what’s coming for you, it’s about what’s already there. Plunge into the shadows of Bloody Blindfold, you will narrowly escape the undead creeps and chainsaw freaks, remorseless in their torment of anyone unfortunate enough to wander into their grasp. Those who can navigate by touch alone may just escape with their lives, but for many their sanity remains lost forever. Face your fears and face the terrors of Lights Out Weekend. Use your glow stick to find your way in the pitch dark riddled evil entities from the Hysteria Slaughterhouse as they patrol search of their next victim. The cost is $20.00 for General Admission and an additional $5.00 if you want the Bloody Blindfold Experience. 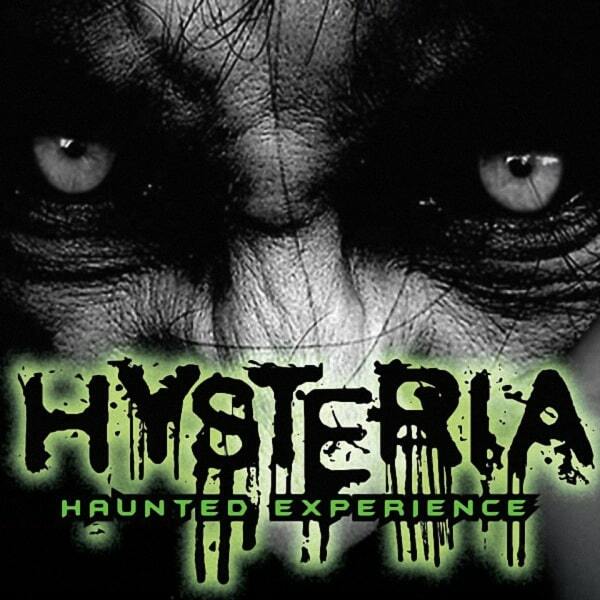 Hysteria Slaughterhouse’s “Hysteria Bloody Blindfold” haunted attraction contains high voltage effects, very low lighting, tight spaces, strong scents, profanity, moments of complete darkness, water, violent scenarios and high impact scares. Not recommended for pregnant women or people with heart conditions or respiratory problems. No cell phones. No customers with pacemakers. Comfortable shoes recommended (no heels or sandals). Separate ticket purchase required, this attraction is not included with admission into HYSTERIA HAUNTED HOUSE. Limited tickets available each night, and this attraction sells out frequently.